On-site demonstration of the Studio System, the first office-friendly, affordable metal 3D printing system designed for engineers. 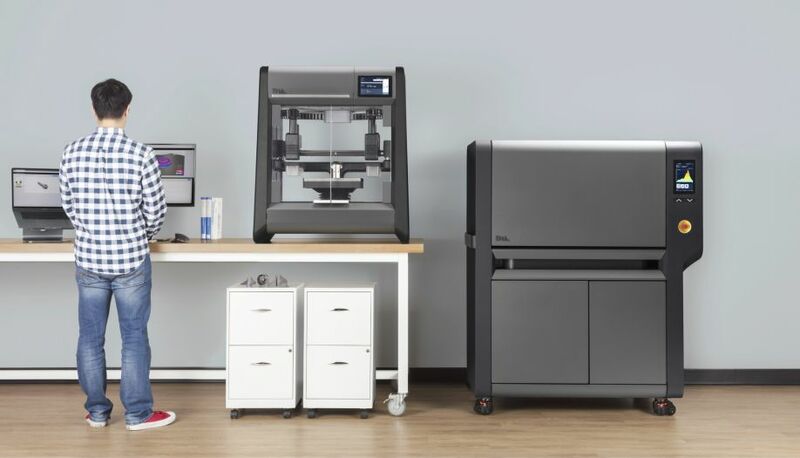 The Production System - the world's first and only metal 3D printer designed for mass production that will allow additive manufacturing to finally deliver the speed, quality, and cost-per-part needed to compete with traditional manufacturing processes. An array of parts on display, printed with the Studio System and Production System. An in-depth look at customer use cases that depict how our systems are being applied across a wide variety of industries. What makes IMTS an important event for your company & what do you hope to accomplish there? As one of the leading manufacturing technology shows in the world, IMTS offers Desktop Metal an opportunity to showcase the latest updates and advancements being made across our product line to thousands of global visitors. What is Desktop Metal most interested to see on the exhibit hall floor? We are always interested to explore the showroom floor at events like IMTS because it’s a rare opportunity for our wider team to interact with global leaders across all areas of the manufacturing industry. The conversations we have on the exhibit hall floor are valuable exchanges that aid tremendously in our efforts to refine the capabilities and offerings of our own metal 3D printing systems.